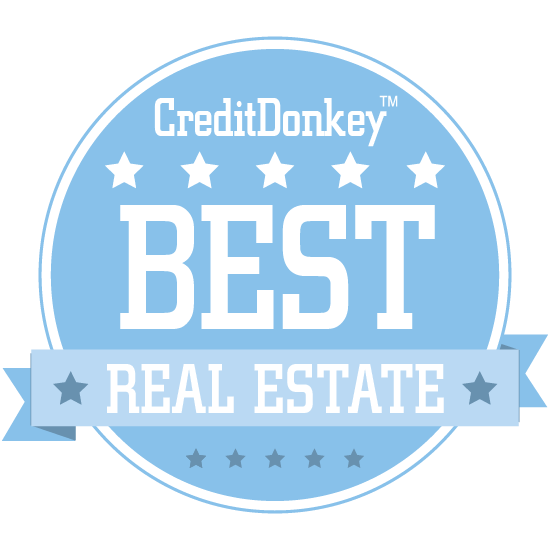 Winners of CreditDonkey Best in Real Estate Award have been announced. These resources help make the real estate process easier and more efficient. Buying, renting, or selling a home can be stressful. Luckily, there are millions of real estate "innovators" out there designed to make the job easier. But many are as useful as a kitchen without a sink. CreditDonkey, a personal finance website to help folks make smart financial decisions, narrowed down the list. Read on for the very best in real estate innovation. 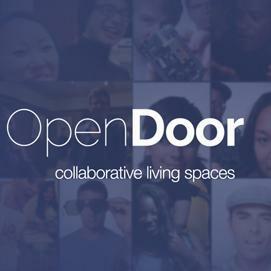 OpenDoor is creating homes for the collaborative age, building a national network of coliving spaces for connection, creativity, and purpose. Residents rent private rooms while coming together in furnished common areas to share meals, attend events, socialize, and more. Why OpenDoor is Best in Real Estate: They currently have three spaces in Oakland and Berkeley, and are currently working to bring the model of coliving to the next level with larger scale developments with 9 projects opening over the next 18 months. They aim to create sustainable, communal living spaces that foster human interaction and authentic experiences. Catylist works to connect local commercial real estate markets, allowing users to search properties for sale and lease in any of the 40+ available markets in their network. Why Catylist is Best in Real Estate: They partner with brokerage firms, local associations, and economic development communities to create customized, trustworthy local databases. It has all the benefits of a local service tailored to your market, but with the benefits of national exposure that extends throughout the U.S. and even into Canada. 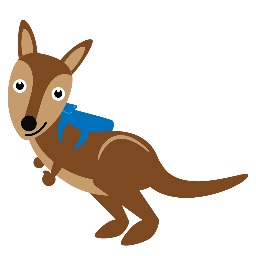 Zoocasa offers up a smarter, faster real estate service for real estate buyers in Canada. CEO and Broker of Record Lauren Haw is a real estate investor and entrepreneur who brings over 10 years' worth of experience in launching, managing, and investing in business enterprises to Zoocasa. Why Zoocasa is Best in Real Estate: Their listings are updated up to 9 times the frequency of their closest competitor, and thanks to their mobile app, you can always be the first to know about new real estate opportunities. When you hire one of their agents, you're also getting a full team, with Client Concierge support that coordinates with your mortgage broker and buyer to help you through the process. Zoocasa’s new school search function lets buyers browse for listings by school boundary, including elementary and secondary schools under both public and Catholic school boards. The search results include current and five-year historical EQAO and Fraser Institute ratings, as well as average ratings within every boundary. Naked Apartments is a resource for apartment-hunters in New York City, allowing users to search by owner, fees, neighborhood, and more. Why Naked Apartments is Best in Real Estate: In addition to their comprehensive listings and search features, you can also find some handy rental resources to turn you into a NYC apartment expert. No matter what neighborhood you want to live in, whether or not you have pets, or how much you can afford, this site will help you narrow down your options. Lovely is an app and website that simplifies the process of finding an apartment in whatever city you want to live in. Why Lovely is Best in Real Estate: With a huge selection of rentals all over the nation, updated in real-time, you can be the first to know when your dream apartment opens up. You can even set alerts to tell you when new apartments that fit your criteria become available, and receive notifications on your mobile device. StreetEasy is a New York City real estate app and website that makes it a breeze to search for rentals and sales alike. Why StreetEasy is Best in Real Estate: Whether you want to search by price, by neighborhood, by amenity, or even by building, it's as simple as a few clicks or taps. The site even features great resources like a mortgage calculator, market reports, neighborhood guides, and more. Rofo offers a free, easy way to find commercial real estate, including office space, warehouses, and retail locations, in markets nationwide. Why Rofo is Best in Real Estate: Rather than a simple search, users just have to describe what they need and where and when they need it, and Rofo will bring you the best matches straight from qualified landlords and agents. Then, you can compare your best matches and decide on your own which ones you want to pursue. Rentbits is an integrated online solution for the rental industry that aims to make lead generation easy for property managers. Why Rentbits is Best in Real Estate: With over 10 million potential renters searching Rentbits and its partner sites each month, they can ensure high-quality leads for any budget. With a low cost per lead, local search abilities, owner and tenant lead generation services, this service can fill your vacancies faster, and at a lower price, than competitors. RealScout aims to help its users sell more listings with a combination of buyer data-driven listings and great home search experiences. Founder and CEO Andrew Flachner is a serial entrepreneur with experience in real estate and early-stage tech companies; prior to founding RealScout, he was CEO at the double dating website DuoDater. Why RealScout is Best in Real Estate: For brokerages, it leverages the power of buyer data to help you do more deals at a higher profit. For agents, it provides a property alert and comprehensive search system that increases client engagement as much as eightfold. 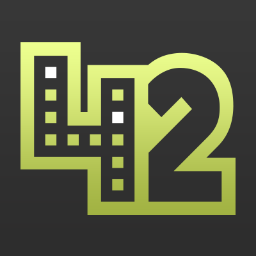 42Floors is an office space search engine with spaces available in just about every major city in the United States. Why 42Floors is Best in Real Estate: Millions of listings allow you to filter by location, size, price, and more, and you can use their website to contact a broker and set up a tour directly. If your requirements aren't met by current listings, you can even sign up for an email alert whenever one meeting them hits the market. 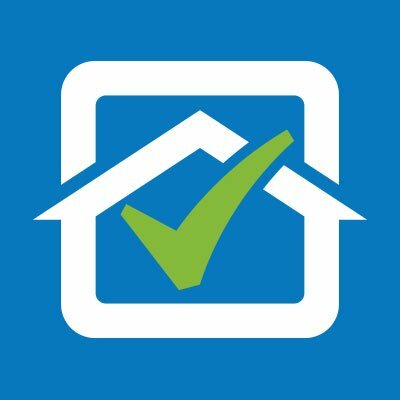 Homesnap is a free web and mobile app that makes it easy to find your next home or find out how much your current home is worth. Founder Guy Wolcott has started several technology companies and has many years of experience in the real estate sector, including launching a successful mortgage company. While founder Steve Barnes is an experienced real estate professional who has worked on thousands of transactions in brokerage, mortgage, and settlement. Why Homesnap is Best in Real Estate: It allows users to connect with a trusted agent instantly and contact them directly from the property page within the app, making it simple to inquire. With over 90 million listings, all updated in real-time, you'll never miss new listings, price changes, or any other important activity. Crelow helps its users find the perfect office space simply by describing what they want and letting the offers come to them. Why Crelow is Best in Real Estate: Just set your specs and name your terms, and they'll alert the entire market to create competition and bring you the perfect space at the right price. Once you've found a space you like, Crelow will even introduce you to the landlord rep to get you started. AppFolio is cloud-based property management software built for the modern manager. President and CEO Jason Randall joined the company in 2008, but prior to that he served as the Senior Director of Product Management at Citrix Online and held various senior roles in product development at other private SaaS companies. Why AppFolio is Best in Real Estate: It includes tools that can help streamline the payment process for your tenants, make it easy to communicate with and schedule maintenance, and even market your brand and services. With transparent pricing, no hidden fees, and an intuitive interface, users can be assured that AppFolio will always be affordable and easy to use. Backagent is working to streamline brokerages with easy transaction management, built to scale. Why Backagent is Best in Real Estate: It's a back office intranet system that features a built-in transaction workflow engine that's ready to go out of the box. Not only is it mobile friendly, but it also enables easy collaboration, paperless transaction management, and much more. Point is providing an easier way to sell a piece of your home, buying into a piece of your property rather than acting as a lending company. Why Point is Best in Real Estate: With no monthly payments and no interest, plus the ability to sell your home or buy Point out at any time, this is a convenient, far cheaper way to get the money you need. They'll even guide you through the application process, helping you compare Point to debt options to determine if it's the right move for you. Realtyna offers flexible, scalable, affordable web and mobile solutions for the real estate industry. Why Realtyna is Best in Real Estate: They are dedicated to real estate technology, and will bring you everything you need for a full-featured real estate website and mobile app, including web hosting. They even offer full-featured real estate CRM, complete with lead generation, management, monitoring, and unlimited agent support. Organic RETS integration and Organic IDX Integration are their key products. Apto is commercial real estate software that makes it easier to build relationships, quickly close deals, and efficiently manage your brokerage. Why Apto is Best in Real Estate: As the only web-based CRE software, Apto allows users to manage contacts, properties, listings, and more, all from any device. It also helps manage your data, build comprehensive property records, and much more. Caspio is online database software that makes it easy to powerful, customized online database applications, including for real estate listings. Founder, president, and CEO Frank Zamani co-founded Autoweb.com and became a pioneer of cloud computing when he founded Caspio in 2000. Why Caspio is Best in Real Estate: Their powerful real estate listings app can be embedded in your website, features an integrated lead management system, and is designed to work for offices with multiple agents who each manage their own listings and leads. Features like comprehensive search for listings, public profiles for agents, and versatile contact management for agents all come standard. RentHop helps apartment hunters in New York City and other major metropolitan areas search for apartments by price, location, amenities, and more. Co-founder Lee Lin is an MIT graduate with a background in financial data, while co-founder Li Zhou worked as a commercial real estate analyst for an investment bank prior to helping to create RentHop. Why RentHop is Best in Real Estate: With each search, you'll see each listing's HopScore, which ranks rentals based on accuracy, completeness, recency, and more, ensuring that you can always find the most trustworthy listings. You'll be able to find both apartments and homes in most major cities, and RentHop even offers area guides and neighborhood specialists to help you pick the perfect spot. HomeSuite brings renters monthly rentals on fully-furnished apartments, with the comfort and amenities of home and the ease of a hotel. CEO and co-founder David Adams previously worked in strategy at Microsoft and is a seasoned business traveler who created HomeSuite based on his own experiences. Why HomeSuite is Best in Real Estate: With HomeSuite, you can find a home or apartment in a great location near your office, making it a great option for business travelers. Their professional landlords and hassle-free booking also ensure an easy, smooth experience with no unpleasant surprises. Silvernest is a home and house sharing service built specifically for baby boomers and empty nesters. CEO and co-founder Wendy Burkhardt has over 25 years of technology experience, and has worked with everything from venture start-ups to Fortune 500 companies. Why Silvernest is Best in Real Estate: Using a proprietary matching tool, they help you find a perfectly compatible roommate, verify them, and even conduct background screens. You can get started by getting matched with your future roommate, or you can search by location and find great houses and apartments to share. LiquidSpace is a flexible office space network that makes it easy to find offices and co-working spaces for an hour, a day, or a month. Why LiquidSpace is Best in Real Estate: With a combination of world-class design that adapts to your needs, professional property management, and flexible terms, LiquidSpace offers everything you need to find the perfect space, whether it's for one person or a whole company. LiquidSpace also offers a great opportunity for owners to list their office spaces, allowing them to earn extra income just by leasing unused office space. Open Home Pro is a platform for collecting and converting real estate leads at open houses and events. Why Open Home Pro is Best in Real Estate: Their open house sign-in platform helps you collect more visitor information without having to decipher handwriting. After each open house, Open Home Pro will send an email to each visitor containing your contact information, and they'll send you a list of hot leads so you know where to spend your time. 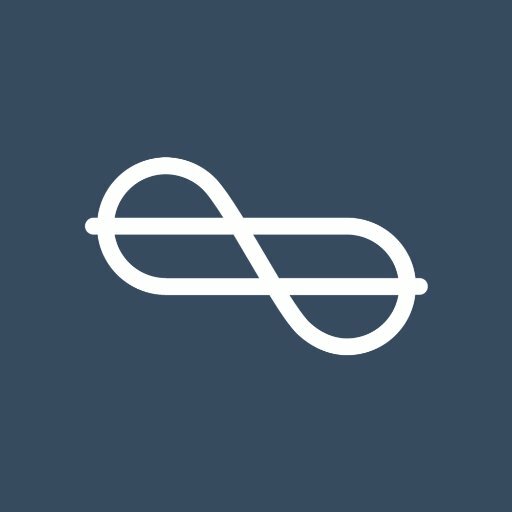 Why Roomi is Best in Real Estate: You can search for rooms, sublets, and more, or post your own listing and get it seen by hundreds of verified roommates. Their platform even offers a secure in-app chat function so you can safely get to know your prospective roommates before making a decision. Drawbotics is a one-stop shop for real estate marketing made easy. Why Drawbotics is Best in Real Estate: It operates as an online marketplace where you can order all of the real estate marketing services you require, and you can easily collaborate with colleagues to manage your projects with their innovative tools. Once your visuals are ready, all you have to do is download them and you're ready to start your campaign. 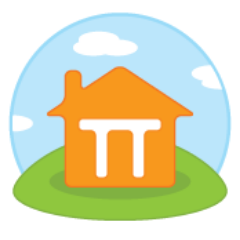 Faira gives homeowners everything they need to sell their home with easy, free software. CEO and co-founder is a technologist and economist who specializes in designing internet business models, while co-founder and CTO Eduardo Oliveira is a veteran of eBay and Microsoft, as well as a real estate investor. Why Faira is Best in Real Estate: Their services include everything you could ask for, from professional photography to open house signs to home inspection. On average, their users save $20,000 and their homes only stay on the market for 12 days. Why Triplemint is Best in Real Estate: With Triplemint, you can access their inventory of properties before they even hit the market, and they'll use predictive analytics to bring you the properties you'll love. Of course, they also offer every client personalized, professional service to make your real estate experience as seamless as possible. ZipMatch is a web service that empowers real estate shoppers in the Philippines to discover condominium, house, and townhouse properties. Why ZipMatch is Best in Real Estate: You can search by city or type of property, or select from among their latest and most popular listings to find great options. You can even take virtual online tours, "walking" through the property without having to leave your couch. Pegaxis is a real estate maintenance service for Singapore that makes it easy to get quotes from their large network of contractors. Why Pegaxis is Best in Real Estate: Using their easy online tools, you just have to request a quote and you'll receive several options to pick from. Then you just compare the different quotes, obtain approval, and issue purchase orders in one simple process. Rentalutions offers online landlord software and tools that make it easier to find, screen, and keep tenants. Why Rentalutions is Best in Real Estate: Their tools make it a snap to create new listings for Zillow, Hotpads, and other sites in minutes, as well as quickly request and view rental applications and credit checks from leads. With digital leasing, online rent payments, and online maintenance tracking, your tenants will be happier and your job will be easier. 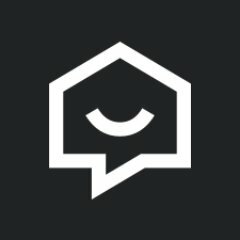 Agentdesks boasts the world's largest real estate agent network, making it easy to get connected and start closing deals. 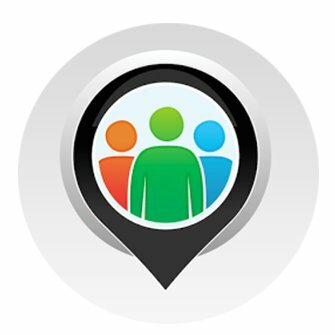 Why Agentdesks is Best in Real Estate: You can share posts to your local network to announce new listings or find new opportunities within the app's listings. When you're ready to start the process, in-app messaging is available so you can start the conversation immediately. 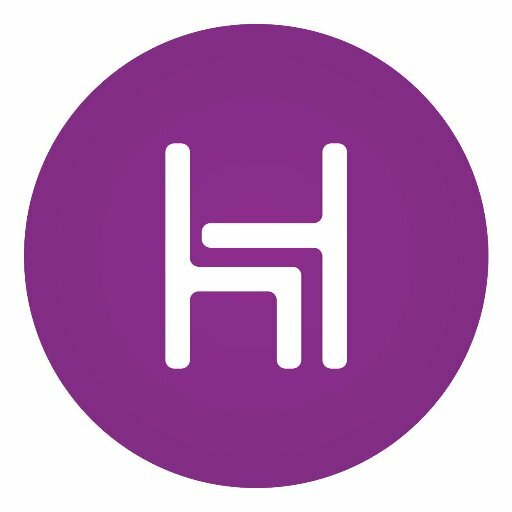 homezen is aiming to make home selling simple, with instant home valuation, professional listing photography, and more. Co-founder and CEO Kevin Bennett has a background in real estate and technology, while CTO and co-founder Mike Spainhower is an expert in software and security. Why homezen is Best in Real Estate: They provide the tools and the one-on-one support you need to breeze through the process, helping you price, list, and even close your sale. They'll even send you a lockbox for showings and provide all the necessary paperwork you need to sell your home. Read: Can I sell my home without an agent? 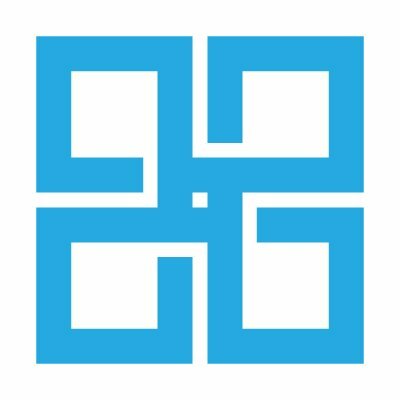 Greyloft is a real estate agency for expats in Singapore that combines in-house agents with technology for an easy, seamless experience. Co-founder and CEO Siddesh Narayanan is a licensed real estate advisor who previously worked in commodity finance, while co-founder, CPO, and CTO Archit Agarwal is also a real estate advisor and has experience in the technology sector. Why Greyloft is Best in Real Estate: They provide buyers with a wealth of information, all easily accessed online, and the entire end-to-end renting or buying process is digitized for ease of use. You can use their app to check viewing itineraries, write notes, and even e-sign the contract when you're ready to close. Matterport VR allows property managers to showcase their properties through virtual reality tours. CEO Bill Brown has been turning cutting-edge technologies into major businesses for over 25 years, and was previously GM of Converged Consumer Solutions at Motorola Mobility. Why Matterport VR is Best in Real Estate: This allows prospective tenants and buyers to experience living spaces and communities in full 3D, as if they were really there. Not only does this provide accurate tours to create more informed prospects, but it can also set your business apart and increase engagement by up to 300%. TurboAppeal is a simple app that can help homeowners save thousands on property taxes with just a few clicks. Why TurboAppeal is Best in Real Estate: They leverage their decades of experience in property tax appeals to find the key features your local government values, and then help you strengthen that appeal with in-depth analysis of your home. They know that putting together the most accurate evidence requires big data expertise, and their data professionals will work to put you in the best position for a tax reduction. Real Capital Analytics is a commercial real estate database that provides valuable information on the deals, major players, and trends in commercial real estate investments. Founder and President Robert M. White, Jr. founded RCA, Inc. in 2000 and is a noted authority on real estate capital markets. Why Real Capital Analytics is Best in Real Estate: They offer timely, reliable transaction data and real-time coverage across all markets and property types. 100% of the top most active brokerage firms rely on RCA's unique data for their business; does yours? Read: How Will the Fed Increase Impact Commercial Real Estate? Tenant Turner is powerful tenant lead scheduling software that also features a call center and electronic lockboxes. Why Tenant Turner is Best in Real Estate: With their platform, you can easily access all of your leasing activities in one place, and their powerful reporting features mean you'll know where all of your leasing stands at all times. Because you'll be able to instantly respond to all tenant leads and follow up automatically, you'll never lose a quality lead to a competitor again. 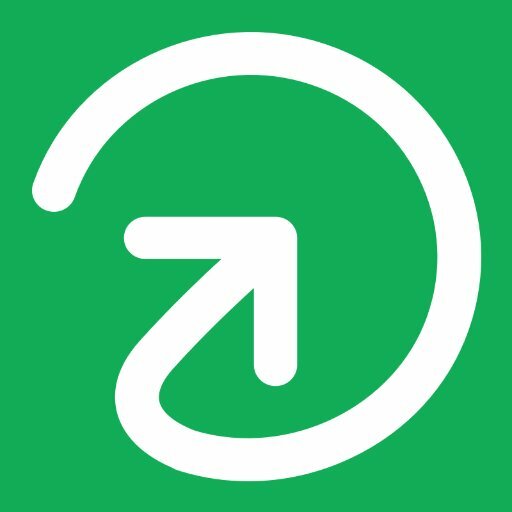 Updater is a technology company that builds tools to take some of the headaches out of the moving process. Why Updater is Best in Real Estate: Using their app, you can update accounts, forward mail, find the perfect moving company, and transfer utilities with ease. It's a great product for real estate agents and brokers who want to set themselves apart by providing clients with a personalized moving app. Homekeepr is a referral-only community of local realtors, home professionals, and homeowners, so you can easily put together an all-star team that makes it easier to own a home. Why HomeKeepr is Best in Real Estate: When you join, local experts will share a directory of trusted professionals with you, so when you need maintenance or other home services, you'll always have a network close at hand. The HomeKeepr app will even send you maintenance reminders, track all of your receipts, and more, all in an effort to make organizing your home easier. 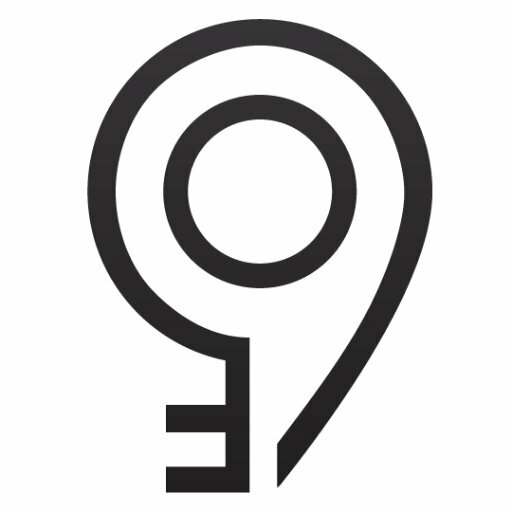 Nested is a London-based estate agent that guarantees a fair offer for your home and a sale within 90 days. CEO Matt Robinson is an entrepreneur who also co-founded GoCardless, where he remains on the Board. Why Nested is Best in Real Estate: They not only negotiate for a great price for you, but guarantee your minimum: if they don't sell within 90 days, they'll purchase your home themselves. This means that, from the day of your listing, you're free to make offers on your next home as a chain-free buyer. MassVenture is providing a simple way for Texans to instantly get started in real estate investment with as little as $500. CEO Nathan Roach is an entrepreneur and licensed attorney with a background in technology, having previously founded the litigation support company Litigation Dynamics. Why MassVenture is Best in Real Estate: Real estate investment represents a tangible asset and is a great way to diversify a portfolio, and MassVenture is simplifying the process so you can sign up and get started in just one minute. You'll see income from interest and capital growth, as well as rental payments, and you'll start seeing returns much sooner than you might think. Settled is an online property transaction platform that's helping customers buy and sell their homes online easily. Co-founder and CEO Gemma Young has over a decade of experience in internet businesses and worked at Google during its early days, while co-founder and CMO Paul Young is an entrepreneur and former mortgage advisor who has worked in marketing for major brands like Cadbury, Sainsbury's, and Warner Bros.
Why Settled is Best in Real Estate: When you sign up, your home will be listed on major websites in a matter of days. Settled will create your ad, publish it with your approval, help you arrange viewings, and more, making the entire selling process easier than you ever imagined. Settled has already cut the time it takes to transact and complete in half and is dramatically reducing fall through rates. RealSavvy offers custom websites, IDX, branded mobile apps, and even lead generation for real estate. Why RealSavvy is Best in Real Estate: Developed by former real estate professionals for brokers, agents, and teams, it's a powerful, extensible platform that's intuitive and provides everything you need. They can help you create a beautiful, speedy front-end web experience, a client portal built for agents, and world-class client support to ensure everything runs smoothly. Read: What Do Winners of the 2017 ABJ Residential Real Estate Awards Have in Common? Embue is working to make apartments smarter, with technology that automates management tasks, optimizes the use of resources, and provides a more comfortable environment for residents. Founder, President, and CEO Robert Cooper, PhD, has led product teams at multiple successful startups and established companies, while founder and COO Larry Genovesi is a serial entrepreneur with a background in computing, storage, and networks. Why Embue is Best in Real Estate: They offer building intelligence as a service, giving both property managers and tenants the power to control elements like temperature from anywhere, anytime, to monitor equipment and save energy. Their technology even allows managers to know about issues requiring maintenance in advance, allowing them to replace emergency maintenance calls with scheduled visits to reduce costs. 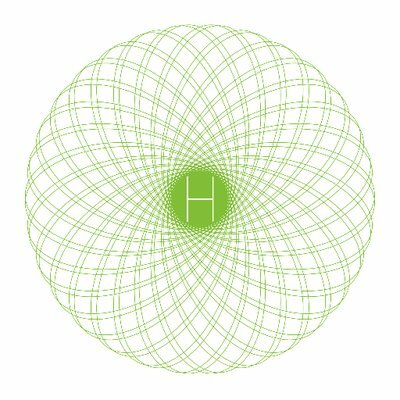 hOM is a technology-enabled amenity provider that partners with both residential and office properties. Why hOM is Best in Real Estate: They aim to help foster community by providing things like on-site fitness programming and special events for tenants. They can set up a game night, a yoga class, or an evening of sushi and sake for your property, bringing tenants together and creating a warm, healthy environment. TheGuarantors know that renting an apartment in New York City is incredibly difficult, and work to help get their clients approved. Why TheGuarantors is Best in Real Estate: All you have to do is fill out a quick questionnaire and upload some documents, and you can get pre-approved in just 30 minutes. They'll even work to bring you the lowest possible rates, and provide some excellent perks along the way. RealDirect is offering a new way to buy and sell New York real estate, helping sellers sell higher and buyers buy lower. Founder and CEO Doug Perlson is also RealDirect's Principle Broker and has a background as an internet entrepreneur, having previously founded the audio advertising network TargetSpot. Why RealDirect is Best in Real Estate: Their selling platform provides users with a price recommendation, help you create your listing, and give you flexibility in how you'd like them to be involved in the selling process. Their service can also help buyers narrow down their list of properties, discover new opportunities, and handle the negotiation process. Onerent is a state-of-the-art rental leasing and management service that simplifies the process of listing for managers and finding the best apartments for renters. Why Onerent is Best in Real Estate: For managers, they will market your rental, certify it after an initial inspection, and even show your home on-demand. When it comes to renters, you can book a showing on-demand, and apply, qualify, and sign your lease online, without ever leaving the couch. VirtualApt is an end-to-end service provider for enterprise VR and AR solutions, using the best technology to film and process VR in real-time. Co-founder and CEO Bryan Colin has a background in investments, gaming, hardware, and real estate, while co-founder and CTO Robin Van Der Zwan is fascinated by the latest in tech and loves putting his interests to work for VR/AR. Why VirtualApt is Best in Real Estate: This means that you can create top-notch VR walkthroughs of apartments and other real estate spaces. These videos are then uploaded to the web, where they can be viewed by potential buyers anywhere in the world. Juniper Square is a modern investment management system designed from the ground up for real estate. Why Juniper Square is Best in Real Estate: Their platform boasts a comprehensive relationship management tool, fundraising automation, efficient investment management, and much more. With Juniper Square, you can be up and running in under a month, and all software migrations are made easy with the help of their friendly, always available support staff. QuickLiquidity enables sellers to sell their illiquid real estate interest positions in commercial real estate partnerships. Why QuickLiquidity is Best in Real Estate: They are a direct buyer, purchasing LLC, LP, TIC, and DST interests in all 50 states, in any town. All you have to do is contact QuickLiquidity and fill out their online form; they'll then request and review the partnership documents and underwrite the real estate, normally presenting an offer in 1-2 days and closing in 2-3 weeks. 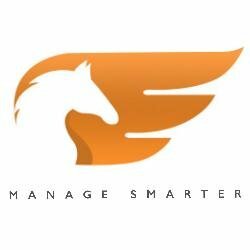 MortgageHippo is a digital lending platform that adapts to your workflows, processes, and strategies. CEO Valentin Saportas is a former financial advisor who worked as a banking lawyer in a Chicago-based law firm prior to founding MortgageHippo. Why MortgageHippo is Best in Real Estate: Not only does it deliver a modern customer experience, but it's optimized to maximize conversions from multiple channels while improving efficiency and lowering costs. MortgageHippo's intuitive loan dashboard makes it easy for borrowers to guide themselves through pre-approval and mortgage application, and it even educates borrowers as they compare loans. SkySlope is software that brings brokers and agents everything they need, including broker compliance review, security, and the ability to access all of your files via mobile. Why SkySlope is Best in Real Estate: With all of these features, you might think that SkySlope would be difficult to implement; that's why they offer brokerages a full, dedicated activation team to ensure success. Their platform has even developed a fully-integrated e-signature platform to make signing easier for both agents and clients. 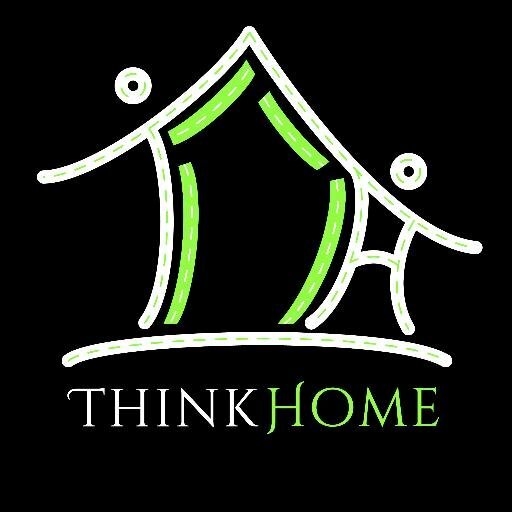 ThinkHome is helping renters and buyers make faster, smarter decisions by letting them search by commute, schools, and budget. Why ThinkHome.com is Best in Real Estate: You can use it to find out how much gas will cost for your commute to work, search by down payment and mortgage, and easily find GreatSchools ratings for schools near each property. This means that you'll be able to quickly find a great place for a low price in an excellent neighborhood, more easily than ever before. 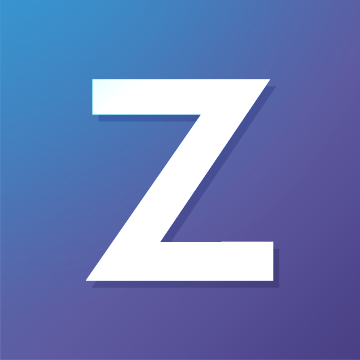 Zurple is lead generation and marketing software for real estate professionals that can help generate more leads, track their behavior, and optimize your follow-ups. CEO Ryan Whitlock has been with parent company Z57 since 2004, when he joined after 20 years working in business and financial management for the technology sector. Why Zurple is Best in Real Estate: It works by launching home search websites for each target area that you serve, then provides you with a complete profile of each new lead's behavior. This enables you to engage your leads in a conversation at the perfect time, and help you bring them the options that they want. iFunding is using crowdfunding to revolutionize real estate investing, allowing individuals to get started with as little as $5,000. Why iFunding is Best in Real Estate: They are partnering with real estate operators with sterling track records to bring their investors institutional-quality opportunities. All you have to do is create a free account on their website to start reviewing investment opportunities. 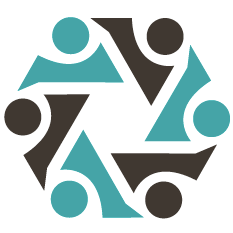 Virgent Realty is a full-service real estate agency that's built for the online world. Why Virgent Realty is Best in Real Estate: You tell them a little about your home, and you'll get a 97% accurate price estimate, professional listing photos, instant showing notifications, and more. You'll also get detailed agent recommendations for every offer, and you'll get all of this for a flat fee of $5,000. 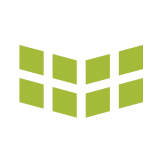 Gridics is providing hyper-local real estate data, news, and analytics for South Florida. 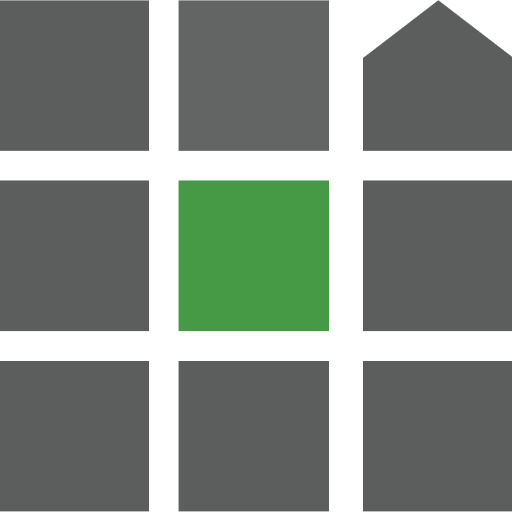 Why Gridics is Best in Real Estate: You can search sales, rentals, property records, and more by neighborhood, city, and ZIP code and receive detailed data. Whether you want to view listings within a certain radius, find all closed sale listings in a certain neighborhood, or even find the top-performing real estate agents in the region, you can do it here. Student Cribs are a technology focused student accommodation provider with properties in all major university cities in the UK. CEO Charlie Vaughan-Lee started Student Cribs back in 2003 while still a student himself, and the company has grown to include over 500 properties. Why Student Cribs is Best in Real Estate: They make it incredibly simple, too: just click your city, select the number of bedrooms, and you'll see all of the Cribs they have available right away. 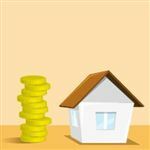 Once you've found the perfect housing, all you have to do is pay the £200 holding retainer to reserve the property, then sign the rental agreement electronically to secure the place. CityBldr helps sellers get more for their properties by showing them what a builder or developer would pay. Co-founder and CEO Bryan Copely has over a decade of experience in the real estate industry, having founded several companies, while co-founder and CTO Devyn Cairns is a self-taught software engineer who has been coding since age 7. 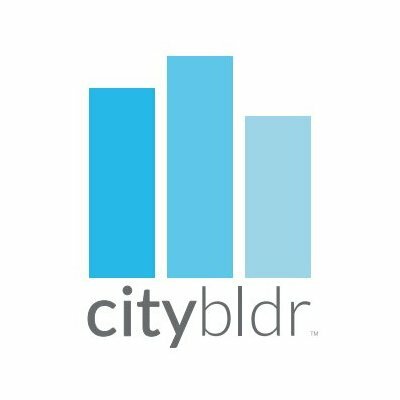 Why CityBldr is Best in Real Estate: When you're ready to list, they'll show your property to more than 400 builders and developers, getting you a price up to 89% higher than leading market valuations. They'll also help you navigate all of your options when selling to a developer, ensuring that the process goes smoothly and that you get the best possible price. DiversyFund is making real estate investments simple, with no fees and investments available starting at just $5,000. Founder and President Craig Cecilio created DiversyFund in an effort to improve upon existing real estate practices, and has worked in the real estate sector for over 20 years. Why DiversyFund is Best in Real Estate: Just create a free account, browse their listings, and get started investing in real estate. You can target growth on an annual basis, continuous, year-long returns, or diversified investments across various properties - it's up to you. Mobile Doorman enables property managers to create custom-branded apartment apps for their tenants. Why Mobile Doorman is Best in Real Estate: They offer in-app chat with tenants for easy communication, maintenance requests, surveys with high response rates, and more. A Bulletin feature allows your tenants to connect to each other, and they can even use the app to set up rent payments each month. Roostify is mortgage technology that offers a better home loan experience, bringing the entire process online and streamlining it so it's more transparent and less costly. Why Roostify is Best in Real Estate: Your company can save money by reducing manual processes and communications, while customers get the features they expect in the digital age: mobile access, faster decisions, and a clear view into what's happening. In addition to a consumer-friendly experience, they also offer secure document uploads and reviewing, time-saving automation features, and collaboration and team capabilities. SiteCompli aims to improve on other real estate compliance solutions by saving you time and money and protecting your brand. 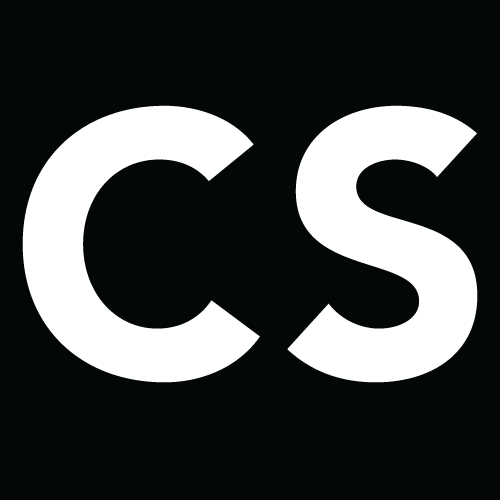 Why SiteCompli is Best in Real Estate: They offer a New York City-exclusive service that acts as the compliance solution for over 1.5 billion square feet of New York real estate, as well as a retail solution. With a compliance monitoring platform that automates compliance, research reports, annual safety notice mailings, and more, they make compliance easier than ever before. HomeKeepr believes that the relationship between homeowner and real estate professional should go beyond the one-time transaction, and aims to reinvent this relationship by turning real estate professionals into valuable resources for local information and home maintenance. Why HomeKeepr is Best in Real Estate: As a professional, you just have to download the app, create your directory with trusted local vendors, and invite your clients to download your new branded app. 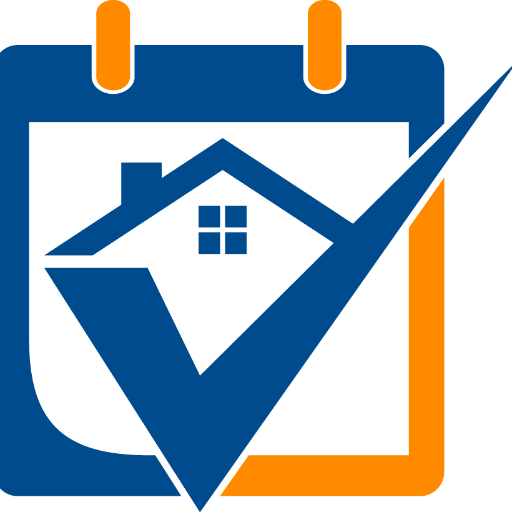 The app then allows your clients to build customized home maintenance reminders and access your list of vendors, and be reminded of your brand every time they do. Factory designs and operates spaces for entrepreneurs, offering flexible office space for growing tech companies. Why Factory is Best in Real Estate: They offer space as a service, clustering successful startups, tech giants, and entrepreneurs into large complexes where they can exchange knowledge and foster community. With their large spaces, they even offer the opportunity for scaling companies to double in size in just 24 months. Reali is out to revolutionize the home buying process by making it more transparent, more affordable, and less stressful. Founder and CEO Amit Haller has 3 decades of leadership experience in real estate, technology and entrepreneurship, while founder and CPO Ami Avrahami brings 15 years of experience in consumer-based web and mobile platforms and capital allocations to the company. Why Reali is Best in Real Estate: With the Reali app, you can view all available listings and complete just about every step of the buying process right from your smart device. Buyers even receive a 2.5% cash back benefit at close of escrow, making your new home more affordable. CLOSE IT! Is a tool for homebuyers and agents to determine cash to close figures. CLOSE IT! makes settlements simpler than ever with an app that lets you create, edit, and share closing disclosures. Why CLOSE IT! 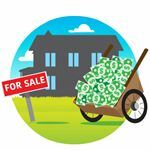 is Best in Real Estate: Built for both real estate agents and lenders, it lets all parties see how much cash is required to close on properties in DC, Maryland, Virginia and Florida. It factors in taxes, lender escrows, title insurance, and more to create an estimate that's accurate within a single percentage point. Structurely has created Holmes, an AI-powered real estate inside sales agent that automates many online interactions with leads. Why Structurely is Best in Real Estate: Holmes can instantly follow up with online leads, answer qualifying questions, and answer lead questions in a text message format. It works with your leads, learning their preferences to help them find great homes in real-time. 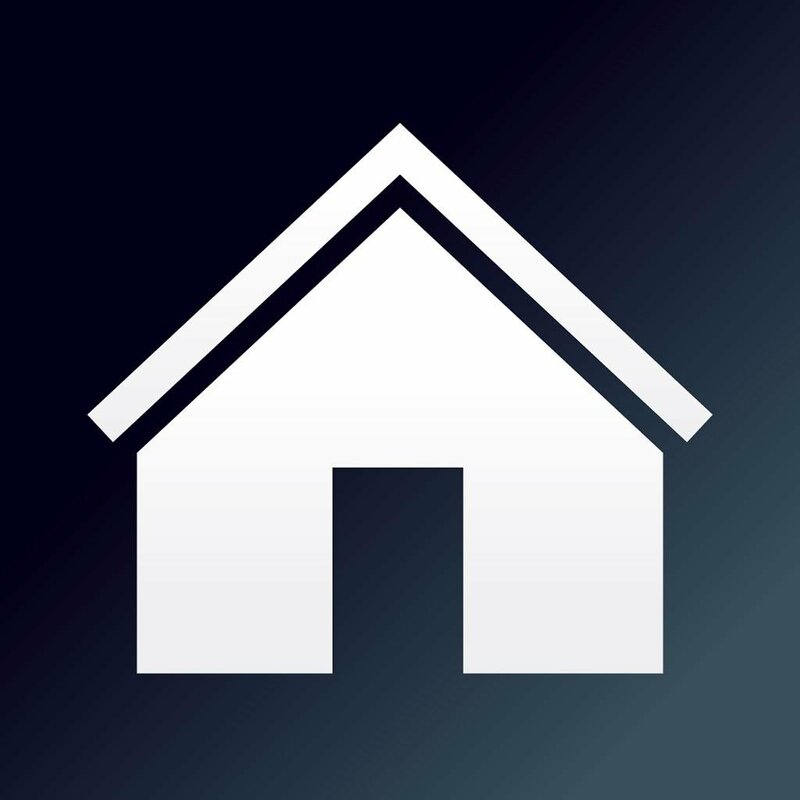 AM Open House is a mobile app that aims to make open houses easier and smoother than ever. Why AM Open House is Best in Real Estate: Features include a digital sign-in sheet, a lead manager with personalized emails and social sharing, and more. It can also help your marketing efforts with email reporting that shows how your emails stack up to the competition and email templates for simple email editing. Castle brings state-of-the-art property management to the Detroit Metro area, offering tenant screening and placement, maintenance issues, and more. CEO Max Nussenbaum works to keep Castle's vision clear to the entire team as well as to clients and investors, and also heads up Castle's design team. Why Castle is Best in Real Estate: Their professional, reliable team will help you set rental rates, and they'll collect your rent and enforce due dates and late fees. Thanks to their detailed owner's dashboard, you can always get a full understanding of your portfolio's performance. GroundBreaker is real estate fundraising and investor management software that empowers users to close more deals, more quickly. Why GroundBreaker is Best in Real Estate: With their platform, you can easily create high quality investor materials and publish them straight to your website, as well as manage your investor portal in one centralized place. Their Transaction Center feature even automates the entire investment process, saving you tons of time. 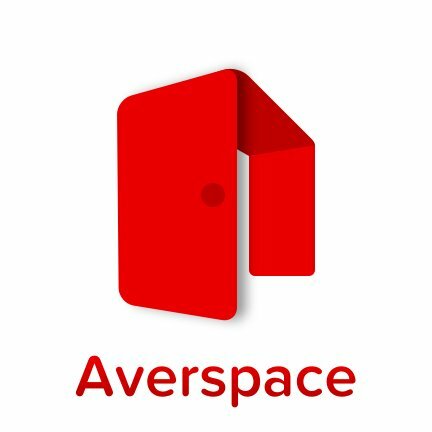 Averspace is bringing Singapore its first blockchain-enabled real estate platform. Why Averspace is Best in Real Estate: It works by connecting real estate buyers directly to owners, which saves their users potentially thousands of dollars over traditional real estate services. They allow homeowners and prospective tenants to draw up and sign digital agreements on their smart devices, using blockchain technology to ensure security. 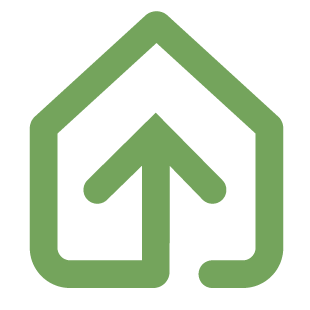 Patch Homes offers a debt-free alternative to home equity loans and HELOCs. The company provides home equity financing at 0% interest and with no monthly payments, in exchange for sharing in a portion of the future appreciation of the home's value. Co-founder Sahil Gupta has a background in consumer finance, wealth management from his time at companies like Motif Investing, while co-founder Sundeep Ambati is experienced in home financing, real estate investing, and property management, having been part of a number of successful real estate companies in the past. 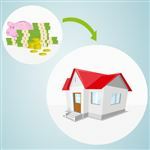 Why Patch Homes is Best in Real Estate: Patch Homes' partnership based home equity financing comes with no monthly payments and no interest - just a share in your home's future appreciation or depreciation. That means you can remodel your kitchen, pay off credit bills, and more without taking on additional debt or impacting your cash flow situation. Approved enables mortgage lenders to close more deals faster than ever before with automatic loan document collection and instant approvals. Why Approved is Best in Real Estate: The mortgage process has always been time-consuming and tedious, but with Approved's seamless customer experience, a streamlined loan app, and bank-level security, it no longer has to be that way. Their software will even integrate easily into your existing workflow, allowing you to get started with it in minutes. TenantBase makes it easy for startups and small businesses to find the perfect commercial space for the right price. Why TenantBase is Best in Real Estate: TenantBase is a technology enabled commercial real estate brokerage that makes the commercial office space search and lease process easier by combining technology with in house experienced local real estate advisors. Tenant Tracker is software that aims to simplify tenant coordination for commercial real estate projects. CEO Keith Kleinmaier has over 20 years of experience in commercial real estate as well as a background in technology, having served as a senior executive at Q Interactive in Chicago. Why Tenant Tracker is Best in Real Estate: With their mobile apps, you can easily track deals, manage construction status, see detailed property reports, and automate many existing processes. With mobile capabilities, you can easily and instantly complete tasks on the go, and even receive a daily list of actionable to-do's to keep you on target. 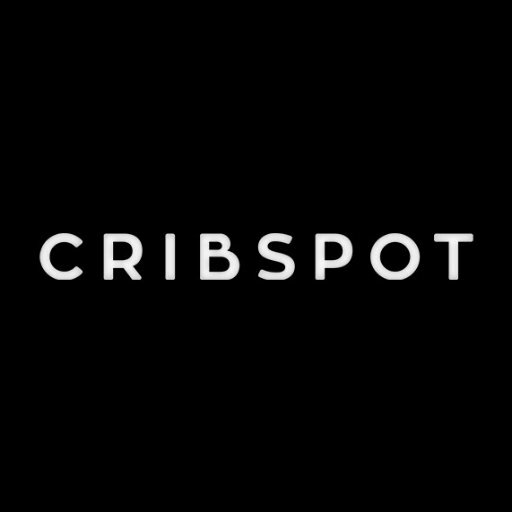 Cribspot offers a technology-powered rental experience with a personal touch. Why Cribspot is Best in Real Estate: Renters can use it to find their ideal next home, book in-person showings, and even sign their lease and pay their rent. It also lets property owners put their properties on autopilot, with easy marketing, leasing, maintenance tools, and much more. 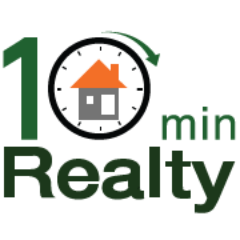 10MinRealty is a simple app that lets any homeowner request a showing instantly. CEO and founder Rina Camhi is an entrepreneur and real estate broker who co-founded 10MinRealty with CFO Edit Styve, a fellow entrepreneur and real estate broker. Why 10MinRealty is Best in Real Estate: Just download the app, make the request, and nearby agents will be notified based on your location. With 10MinRealty, you can see a home you like and get a showing in mere minutes, letting you house shop how you want. HomeMe enables apartment hunters to get pre-approved for an apartment by answering just a few easy questions. 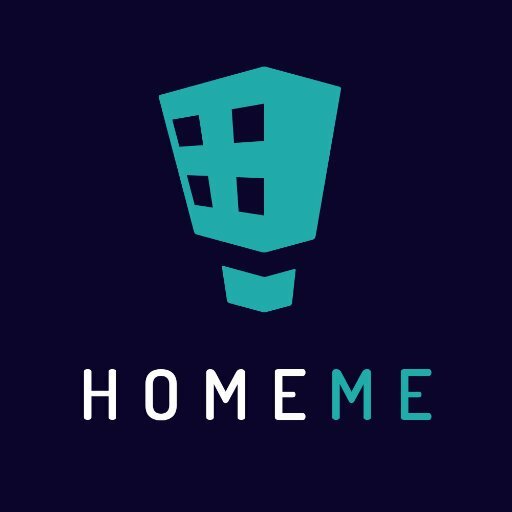 Why HomeMe is Best in Real Estate: They'll pull a soft credit and background check, never sharing your information, and give you the confidence of walking into viewings with pre-approval. This cuts out the endless paperwork and fees, and allows you to browse for the perfect apartment and move in before you know it. Home61 makes searching for the perfect home in Miami both simple and fun, using data-driven technology to help you make informed decisions. Prior to founding Home61, CEO Olivier Granda was previously living and working in Brazil, where he worked to transpose and adapt business models to Latin America. Why Home61 is Best in Real Estate: When you sign up, you'll get a real estate consultant right away to help you through every step of the buying process so you can shop with confidence. When you find the homes you want to view, you'll immediately get a dedicated agent to organize your visits, provide recommendations, and help you close the deal. 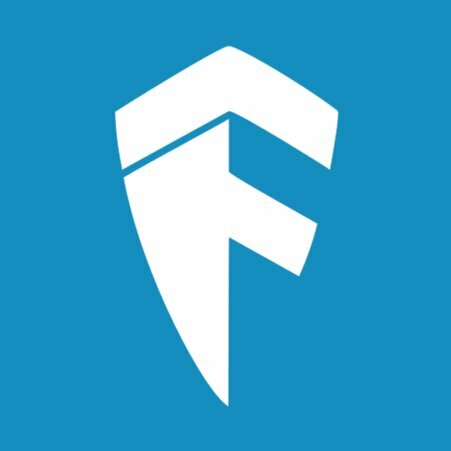 Fella Homes offers assisted home search for both families and singles in India. Why Fella Homes is Best in Real Estate: Their homes are fully furnished and feature basic amenities, making the entire home search and moving process a snap. Just find the homes you want to view, pay them a visit, and book the perfect one hassle-free. Riseio is creating cloud-based, customized real estate technology built to drive conversions, engagement, and connectivity. Why Riseio is Best in Real Estate: Their Building technology gives users one-touch access to services and amenities from a single app, and predictive technology helps staff and systems alike anticipate needs and exceed expectations. They also offer a beautiful display Dashboard that engages customers with interactive virtual displays packed with timely information and announcements. Skootr offers plug-and-play office spaces in India, with safe, secure, thoughtfully-designed workspaces. CEO Puneet Chandra's 10 years of experience in both real estate and technology make him uniquely suited to run a technology-enabled real estate company like Skootr. Why Skootr is Best in Real Estate: They allow users to get a space directly, without having to go through the hassle of finding a broker, and their offices are ready to go with amenities and maintenance. You can even have your office up and running in just 24 hours with their incredibly simple onboarding process: just request a visit, book your space, and you're off. 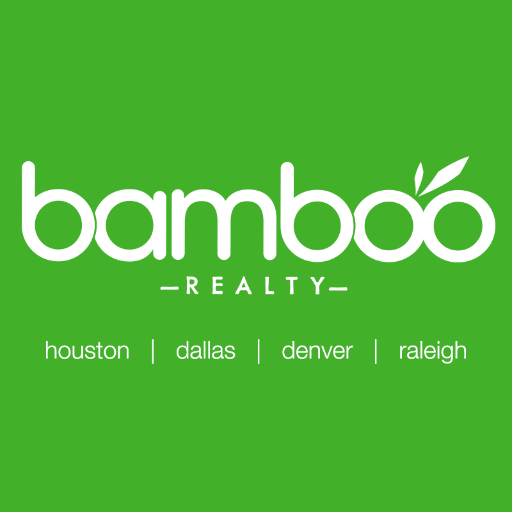 Bamboo makes it quick and easy for apartment hunters to find new homes in Denver, Dallas, Fort Worth, and Houston. Managing Broker Sarah Jones is an experienced realtor with a GREEN designation from the National Association of Realtors, and works to provide all of her clients with the perfect space to fit their needs. Why Bamboo Realty is Best in Real Estate: They aim to make relocating as easy as possible, with agents available to assist their clients 7 days a week to take you on a tour, answer your questions, or help you find the right property to suit your needs. They even specialize in green living spaces, so if sustainability is important to you, check out their listings. Custom Spaces works to help startups and technology companies find the perfect office space, with a focus on finding a custom solution for each client. Founder and CEO Jenny Haeg founded Custom Spaces after over a decade of commercial real estate industry experience, and her clients include Spotify, Medium, Square, and more. Why Custom Spaces is Best in Real Estate: They work with companies of all sizes, from tiny 3-person startups to household names like AirBnB and Twitter. They work hard to ensure that each client finds a space not only perfect for their needs, but one that reflects their unique personality and culture so they can feel at home. redIQ transforms static property data into actionable intelligence. Why redIQ is Best in Real Estate: They capture and extract detailed data from rent rolls, standardize it, and help brokers and investors identify income and expense outliers and compare their performance with that of similar properties. This allows users to make smarter decisions, and lenders to work faster and with greater decisiveness. 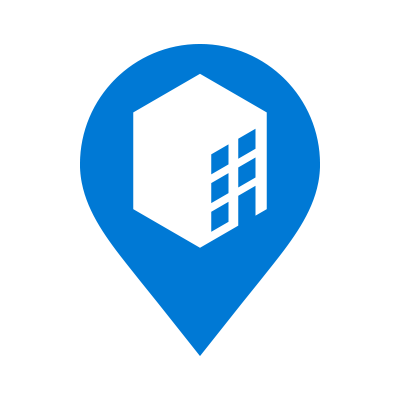 Digital Map Products’ LandVision Connect is a mobile app that brings commercial real estate brokers a fast, simple way to connect their on-site visits to their desktop research. President and CEO Jim Skurzynski has over 20 years of experience with data and mapping technology, including projects like helping the Mexican government digitize their real property information. Why LandVision Commercial Connect is Best in Real Estate: Users can easily explore new opportunities, conduct market analysis, and track property information on both mobile and desktop. You can even quickly note your interest in a property or take photos and upload them to the site. Enodo helps multifamily real estate professionals harness the power of machine learning to instantly identify and evaluate investment opportunities. Why Enodo is Best in Real Estate: With Enodo, users can quickly test value-add and development strategies, calculate optimal rent and expenses, and identify the most statistically relevant rent comps in any market. Enodo currently offers Yardi and RealPage integration, and will soon offer Entrada integration as well. Owners.com's mobile app puts the buying power right in your hands, allowing you to easily customize home searches and save your favorites. Why Owners.com is Best in Real Estate: Their team can also guide you through the hunting and buying process through the app with quick answers. 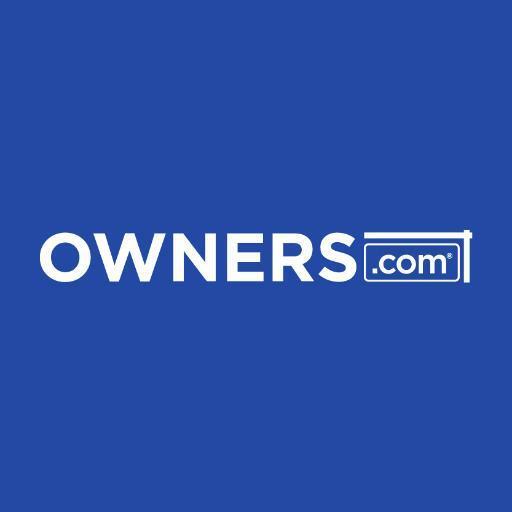 Owners.com also offers services for mortgages and for sellers; check out their website to see everything they can do for you. Keyzio is making real estate a social experience with an app that lets you connect with other users and uncover great real estate opportunities in the best neighborhoods. Why Keyzio is Best in Real Estate: You can use it to create a profile for your home if you're selling, receive alerts on new opportunities, and connect directly with buyers and sellers. Sellers can even use it to test the market, putting their homes up to gauge interest. DwellOwner's mobile app lets sellers secure a listing package anytime, anywhere from their mobile device. Why DwellOwner is Best in Real Estate: It's simple to use: just select a listing package that meets your needs from their list, add your information, make a payment, and DwellOwner will do the rest. The app also features direct messaging so you can communicate directly with your real estate advisor at your convenience. Roofshoot is a handy app that lets you create professional-quality videos for real estate listings in just minutes. The founder's "Meet the Founder" video wouldn't load. Why Roofshoot is Best in Real Estate: All you have to do is download the app, select your location, add a font and a soundtrack, and the app will guide you through the process of filming on your smartphone. Home buyers can then use Roofshoot to find your listing and video and see your property exactly how you want them to see it. Brixsy offers a smarter path to real estate investment, using data to deliver the critical information users need to make more profitable deals. 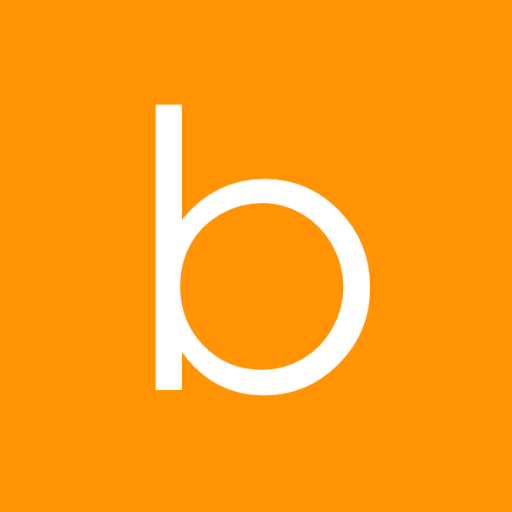 Why Brixsy is Best in Real Estate: With Brixsy, you can search properties and instantly view important critical indicators like zoning records, find surprises, and discover new opportunities. The wealth of information on display enables users to know more, allowing them to focus on the most important deals faster. 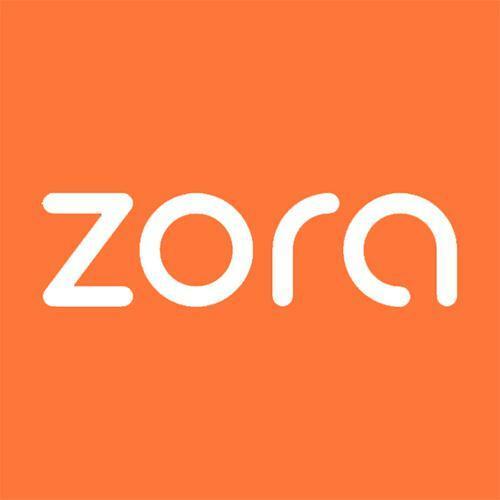 Zora is next generation property management software that works to make lives easier for landlords and tenants alike. Why Zora is Best in Real Estate: This platform can help landlords identify the lowest risk prospective tenants with a quality tenant score, provides streamlined digital applications to leads, and will even automatically repost your listings to keep them fresh so you don't have to. It makes hunting for the perfect home easier for tenants, too, with the ability to complete a single application and apply to multiple properties with it. Spark is real estate sales, marketing, and CRM software that's smart enough to make every task easier. Why Spark Software is Best in Real Estate: It includes everything you need to operate in one place, eliminating the need for multiple platforms for sales and marketing, and allows you to customize it to your tastes. You can use it to manage your inventory, oversee your sales, pre-sales, and marketing efforts, and even create contracts and revenue reports. 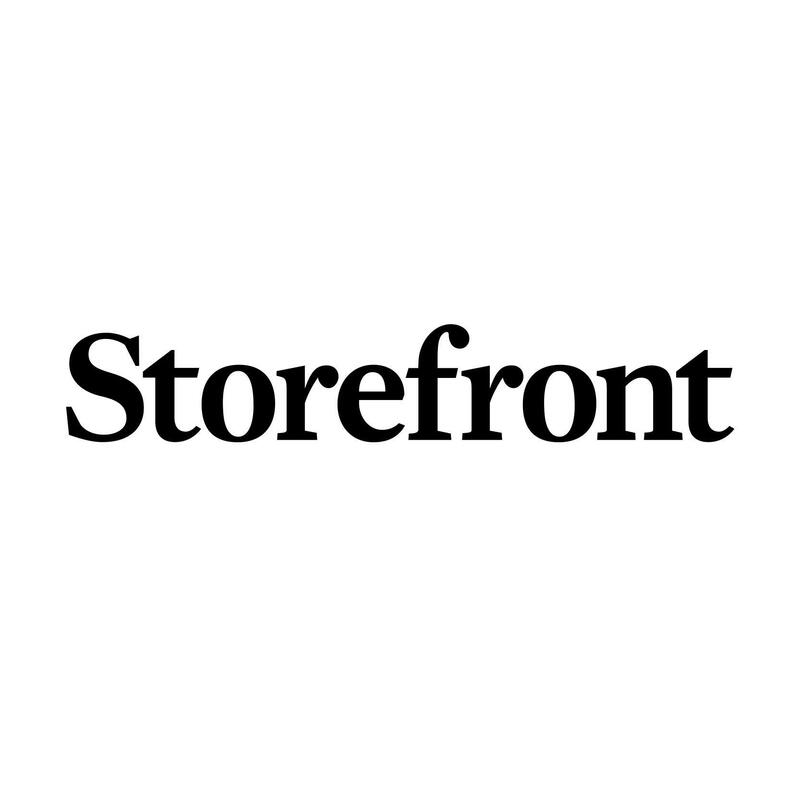 Storefront is a resource for finding short-term rentals for just about any occasion. Why Storefront is Best in Real Estate: They make it a breeze to find temporary retail or event space in some of the world's largest markets, including Los Angeles, London, Paris, and Hong Kong. Just choose your location in their app, find the space that meets your needs, and launch your project; Storefront's team of experts will help you with advice and insurance to make sure you start off on the right foot. 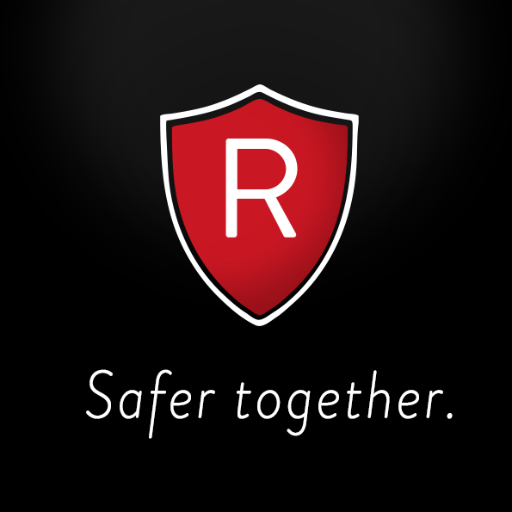 Real Agent Guard is an enterprise security system built specifically for real estate agents. Why Real Agent Guard is Best in Real Estate: It works as an alert system: your agent sets a timer, and if it reaches zero before it's reset, your team receives an alert and the app broadcasts your phone's location. This, combined with their open house video monitoring system, ensures that your agents always stay safe. Hubble makes it a snap to find the perfect office space to suit your needs in London or Manchester. Co-founder and CEO Tushar Agarwal is a former banker aiming to use technology to ease the pain of commercial real estate, while co-founder and CTO Tom Watson previously worked at IBM and has a background in computer science. Why Hubble is Best in Real Estate: Their web app lets you easily search and compare thousands of offices, and when you've found one you like, you can book your viewing right there on their platform. Once you've selected your space, Hubble's professionals will even help with the legal aspects and paperwork so you can focus on moving in. CrowdComfort offers a suite of mobile tools for facilities teams that make it simple for occupants to inform facility managers of workplace issues. Why CrowdComfort is Best in Real Estate: When an issue is reported within the app, it will always be accompanied by a photo and a location, making it easier to identify an issue quickly. You can even communicate in real-time with occupants and employees to keep everyone updated and eliminate duplicate reports. REach® is the National Association of Realtors' (NAR) accelerator program that brings exciting new developments in real estate technology to market. REach® Managing Director Mark Birschbach was previously COO of the e-commerce startup Monthlys Inc., as well as President & COO of Active Radius, LLC, a startup specializing in marketing technology solutions. Why REach® is Best in Real Estate: NAR is leveraging its $5 billion brand to bring these technologies more customers, bigger networks, and faster growth. Their program offers mentorship from VCs and entrepreneurs, demo days where you can unveil your work to the marketplace, and education to help you learn to navigate the market. Share on Facebook "Best in Real Estate"